What’s the easiest way to a worry free vacation? Renting with General RV of course! Take the wheel and take control of your next camping trip with your choice of vehicle from our low mileage fleet of motorhomes. We’re the only rental option to offer clean, non-smoking current model year motorhomes and pop-up campers for your family. You can leave your worries behind because each of our campers comes with full warranty coverage and a 24 hour support hotline. 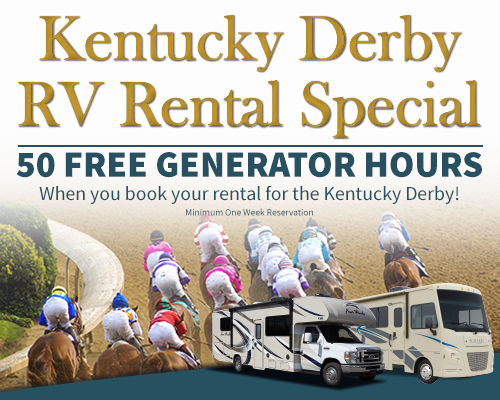 When you rent with General RV, your trip is guaranteed. Once you’ve confirmed your reservation, we promise to have a clean and comfortable RV available for your adventure. 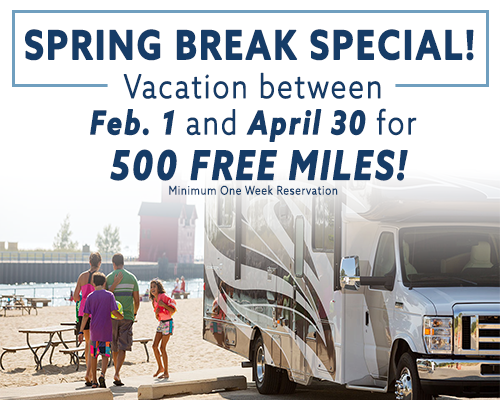 It’s just one reason we’re the #1 RV Rental Company in the Midwest. At General RV Center, we’ve been treating our customers like family for nearly 60 years. Stop by one of our Supercenters or call us today to learn more. We’re passionate about helping our customers experience the adventure and family fun of an RV vacation. Call us today at 888-548-9098 to request a booking. 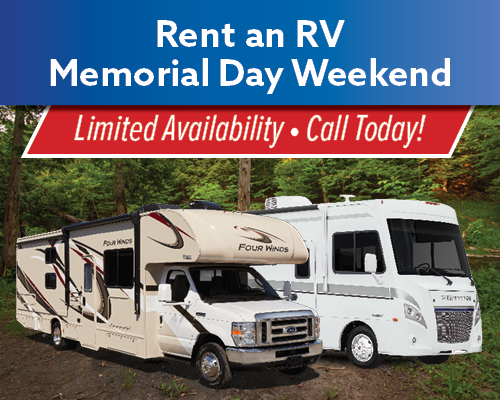 At this time we do not offer RV rentals at our Florida, Utah, Illinois, and Virginia location(s). Why Rent From General RV?